Get four reasons to transition to a SDDC. See the benefits of a software-defined network. A service-focused SDDC gives CIOs the freedom to leave behind hardware issues and focus on proactive IT strategies. IT consolidation. Investing in a hyperconverged infrastructure (HCI) solution bundles computing, storage and networking all into one box. Manageability. Software-defined systems are easier to manage than hardware systems that require manual updates and frequent maintenance. Cost-saving potential. Relying on software-delivered services instead of physical hardware saves money and time and reduces energy usage. Automation. Monitor, adjust, optimize and repair your virtual infrastructure and reduce the manual IT workload to increase business agility. 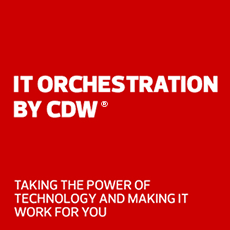 Why CDW Software-Defined Data Center Services? CDW can help strategize a custom IT environment for your business. Our IT consultants and managed services experts can assist with setup and management of your SDDC solution. Software-defined networks enable next-gen capabilities for LANs and WANs. SDNs and SD-WANs are fundamental for SDDC technology and enable critical network architecture with software controls. Centralized network management. SDN and SD-WAN services provide a high-level view of the network as a whole, resulting in more agile, easier-to-manage networks and network devices controlled by a single administrator. Enhanced security. SDNs and SD-WANs empower IT managers to respond faster to cyber threats by providing real-time visibility to the network. Administrators can program the network to react to specific threats automatically. Greater speed and agility. By eliminating manual configurations updates, SDNs and SD-WANs reduce operating and hardware costs by virtualizing the controls for each network device. Cloud integration. SDNs and SD-WANs make transitioning to the cloud simpler by extending your infrastructure and applications to the right technology. Why CDW Software Defined Networking Services? Our CDW SDN and SD-WAN experts can help you assess your situation and design a plan of action to fit your needs. We can provide the expertise required to launch and manage your new SDN. Our experts can virtualize your traditional data center environment.